Manufacturer of a wide range of products which include vertmax telescopic extendable pole. Backed by rich industry exposure, we are highly engaged in offering an extensive range of Vertmax Telescopic Extendable Pole to the clients. These products are made from high quality components. 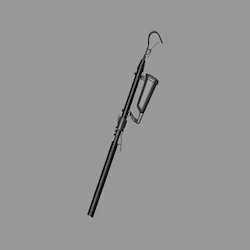 VerTmax (Pneumatically – Extending Telescopic Pole with Integral Tactical Ladder and Grappling Hook)– covert urban and ship boarding / entry.